Get ready to brave the desert! 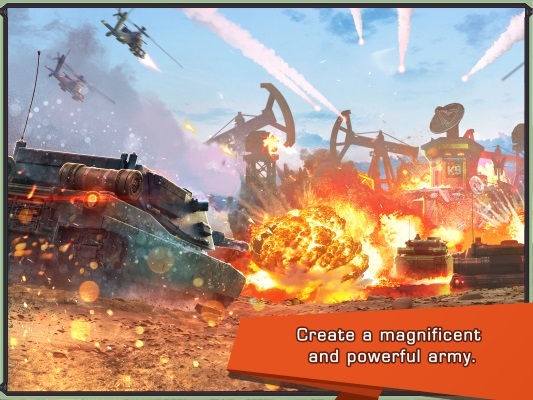 My.com, the developer and publisher of Jungle Heat, the hit game with more than 20 million players worldwide, today released Iron Desert – a cross-platform tactical combat game that drops players in the midst of a brutal war to dominate the desert. Currently featured on the Apple App Store and Google Play, Iron Desert is now available for iOS and Android platforms, with the ability to save progress across devices. In Iron Desert, players work alone or together with friends to dominate fierce battles in the harsh desert. Tactical and strategic combat skills are put to the test as players manage and upgrade heavy military equipment and recruit combat units as they attempt to free the desert from the tyranny of ruthless invaders Iron Dragon and Commander Scar. 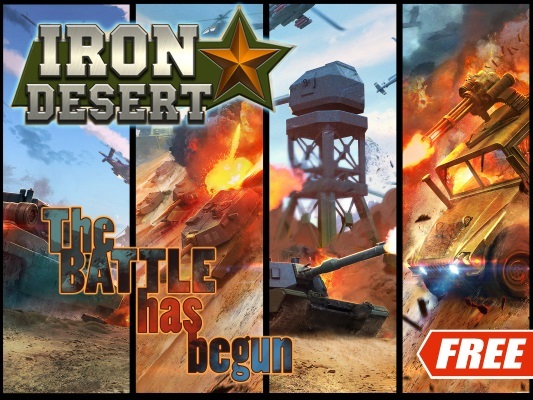 “Besides the massive military arsenal and intense battles, Iron Desert brings an exciting social interaction opportunity, which is no doubt an essential part of games today. Players all over the world will be able to join clans and help each other, communicate through global and clan chats and set up private and group tournaments. We believe that this will help millions of strategy fans get closer and enjoy our new game together,“ said Yury Maslikov, Publishing Director, My.com. Iron Desert offers a unique gameplay experience in which players and their allies achieve the common goal of dominating the desert. Other players will be able to help out by sending tanks, helicopters, hummers, fighting robots and air strikes against enemy buildings and fortifications. Not only can players form alliances to interact closely with one another, but they can also share tactics and maneuvers with each other through replay mode. Iron Desert is localized in ten languages, including English, French, German, Spanish and Italian. To learn more about Iron Desert, visit http://id.my.com andhttps://www.facebook.com/IronDesertGame to win an iPhone 6 or iPhone 5S at launch. With a new year, that means new content for a variety of games. Closers is no exception! As of Monday, the next raid event for Closers began.